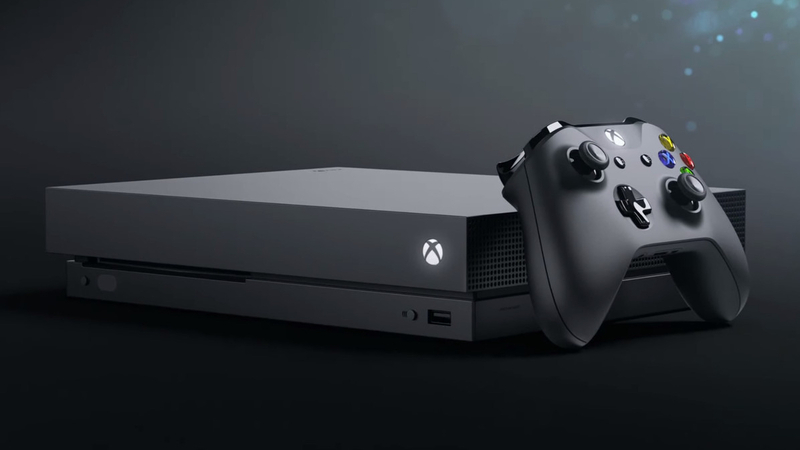 Microsoft has announced the specifics on Project Scorpio, now officially called the Xbox One X, an upgrade on the Xbox One that will run 4K games and is meant to mark Microsoft's entry into console VR. With Sony getting out the door much earlier with PS VR, Microsoft began talking about console virtual reality when it first teased Scorpio, confirming that virtual reality would be coming to Xbox One in 2018. We know the grunt power of the Xbox One X will certainly be enough to handle VR, and we now know the machine will cost $499, but we still don't know what form we'll see Xbox One VR take. Sadly, Microsoft made no mention of the VR specifics during its E3 press conference despite confirming the console will launch 7 November. We then asked it if it would still be going ahead with VR on Xbox, and Microsoft told us in a statement that "We believe that right now a Windows PC is the best platform for mixed reality," suggesting that Xbox VR won't happen for a while. Here's the statement it gave us in full. "Microsoft is committed to delivering great mixed reality gaming experiences. We believe that right now a Windows PC is the best platform for mixed reality as its open ecosystem and enormous installed base offer the best opportunity for developers, and Windows offers the most choices for consumers. Therefore, our primary focus is making our Windows Mixed Reality experiences a success. We have games from Microsoft Studios in development for Windows Mixed Reality, and several game developers are working closely with us to bring their titles to Windows Mixed Reality. We'll have more to share on specific games and content experiences coming to Windows Mixed Reality later this summer, after E3. Because of the opportunity with Windows Mixed Reality, and because we believe the user experience will be best on PC right now, that is where our focus is. We have nothing to share about MR for console at this time." Confusingly though, Xbox head Phil Spencer told Cnet that the Xbox One X still supports virtual reality. So which is it? It sounds like Microsoft has backtracked a bit here, but that it also doesn't want to discount the possibility of VR coming to the console down the line. Just ahead of E3, Microsoft confirmed it would not be speaking about Xbox VR at the show - we held onto a tiny bit of hope regardless - as right now it wants to focus on Mixed Reality for PC. Should Xbox one day become VR-live, we expect it will work with Microsoft's 'Mixed Reality' headsets like the Acer HMD? But could we possibly see a partnership that brings Oculus Rift (remember Microsoft and Oculus are already cosy) or even HTC Vive compatibility to console? Sadly, it might be quite some time before we know.